Exclusives, the face of Max Payne, hybrid games and the blurring of the lines between PC and console. Microsoft has nailed it's Gamescom 2015 show, and it's been quite the gamegasm. With a mix of exclusive Xbox One and PC content as well as new features blurring the lines between the console and the computer. The show kicked off with Max Payne creators Remedy (and with the face of Max Payne himself, Sami Jarvi) showing off its new temporal shooter, Quantum Break. Taking bullet time to its illogical conclusion the protagonist in Quantum Break is able to control time in its latest cinematic shoot 'em up. But as Max Payne had a graphic novel inside the game, Quantum Break is getting a live-action show inside it. Featuring the varied accents of Game of Thrones' Little Finger and Xman Shawn Ashmore, Quantum Break is set to be a hybrid of a TV show and game. “An entertainment experience that's more than the sum of its parts,” explained Jarvi, on stage. Though with the budgets of today's games, it's not going to be the sort of cardboard set-shows we got back then. The game hybrid is set for release on April 5 2016 exclusively on Xbox One. We were also treated to exclusive footage of Crackdown 3's cell-shaded look. It's another open-world action shooter, where you get to traverse a crime-ridden futuristic city taking down different gangs as you go. The interesting part is when you take it online in its unique co-op multiplayer modes. This is set to offer 100% destructible scenery. The computational power to deal with such a feat is simply not available to the console natively so it's using the Microsoft cloud, with twenty times the computational power of the Xbox One, to do all the necessary calculations. Microsoft also had PlatinumGames on stage to show off its dragon-based hack 'n' slash, Scalebound. We'll try and be positive here, but we're definitely not sold on this seriously standard action game - still rocking the classic attacks spewing mostly irrelevant numbers on-screen. And the lead character seems like a bit of a tool too… Rocking up to this mystical, monster-infested world with his Beats-a-like headphones. Still, you get four player co-op. Y'know...with dragons. We also saw some more Lara in some world exclusive Rise of the Tomb Raider gameplay footage. She does seem a lot more violent than she used to. Maybe after all the Sam Fisher/Splinter Cell style violence of Rise of the Tomb Raider she turned a little more pacifist and decided to only shoot endangered animals in the throat instead. There was a host of other new gameplay footage too, from Just Cause 3, FIFA 16 to Homefront the Revolution, Halo 5: Guardians and the next Mojang game, Cobalt. Backwards compatibility has been a big winner in the minds of a lot of the Xbox One gamers - mostly for the promise of being able to play all your old favourites without having to wait for a remastered version. Though they've still had to wait as only Preview members have had access to the current backwards compatibility lineup - that's set to change in November though as it's going out free to all Xbox One users this Autumn. Connected to that is the announcement today that starting from now all future Games with Gold titles will be backwards compatible from release. Games with Gold is the feature which delivers new, free games to Xbox Live Gold members each month. Starting last month it was offering two Xbox One and two Xbox 360 games, and now with the 360 titles becoming backwards compatible Xbox One Gold members could be getting up to four free games a pop. November is also when we're going to see the Xbox One get the Windows 10 treatment. The new user interface will come along with new features and a much faster overall experience. One of the biggest announcements though is outside the games side completely. 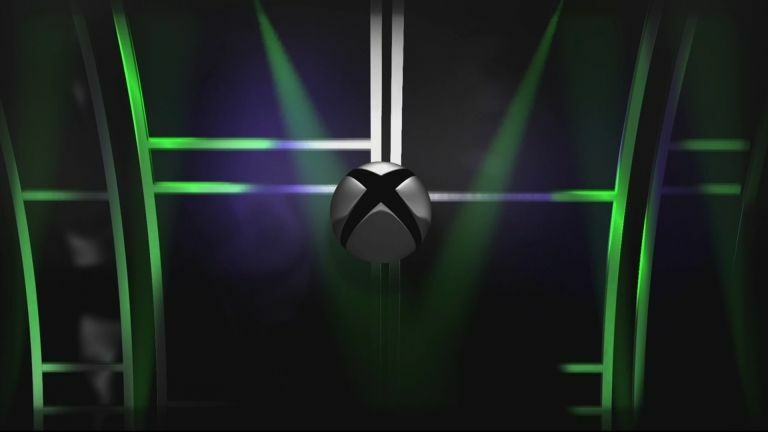 Mike Ybarra, Head of Platform Engineering at Xbox announced a free upgrade next year which will turn the Xbox One into a fully functional DVR. It's set to allow Xbox One users to record free-to-air programming, at no extra cost, without impacting on your gaming experience. Drop out of your gaming sesh to access the OneGuide EPG, select the show you want recorded and head straight back into your game. The console will then record it in the background as you go. It's likely though that it might impact you if you do go in for the game recording function at the same time. While that's been an expected feature of the Xbox One experience, it's the integration with Windows 10 that makes it more interesting. Via the Xbox app on your Windows 10 PC or phone (some of us have Windows Phones…) you'll be able to schedule recordings remotely and, if you're console is rocking the instant on function, it will wake itself up to get recording. You can then stream any recorded show via the app across your home network - much like the game streaming function - or even download the show to any Windows 10 device; PC, tablet or phone. If you want to catch up on the show itself, you can watch the whole thing here. EA's shooter rounds off its trip to Cologne by taking home the most awards at this year's show, including Best of Gamescom. The latest game and gameplay trailers. There's some Mirror's Edge and cutesy platforming, but damn it, we now get to fly the Millenium Falcon?! UPDATE - This week sees Gamescom 2015 rocking the fair city of Cologne, Germany. Here's why we're getting all excited. What do Sony, Microsoft, EA, Ubisoft and the games industry have in store?